Chicago is expected to see some major changes as the opportunity zone program begins to go into effect. In October, the IRS released additional regulations on the program, through which investors and developers can invest in specific neighborhoods in exchange for tax benefits. Bisnow caught up with Chicago-based brokers Noah Birk and Aaron Sklar, both directors at Kiser Group, to discuss the opportunity zone investment landscape in Chicago. Bisnow: Which Chicago opportunity zones are hottest for commercial investment right now? Birk: We work exclusively on the South Side of Chicago, and the vast majority of the South Side has been identified as an opportunity zone. It is an area we’ve been in for many years. We’re definitely seeing a new crop of buyers popping up and focusing their attention on our market. Over the past six to eight months, there’s been a big push from investors and developers who typically do not invest in the South Side contacting us looking for projects. Sklar: People not only want to know more, but need a haven to place capital. As a result, our business has increased, and I think it’s a direct correlation to the rise of opportunity zones. Bisnow: What kinds of projects have you worked on in the past? Birk: We sell apartment buildings on the South Side of Chicago. Our deals range anywhere from six units to 400 units. The vast majority of these are $1M to $2M deals on the South Side. 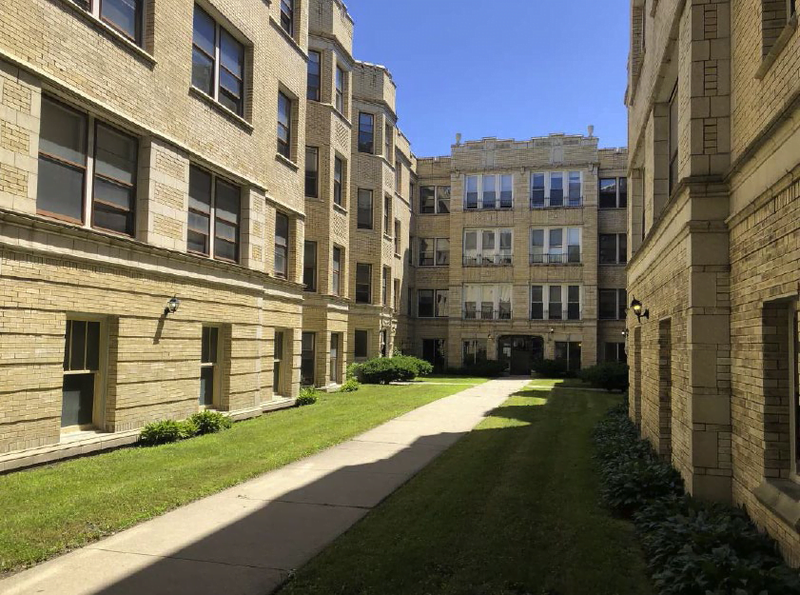 Our bread and butter is more of the 30-unit courtyard building, which there is no shortage of in Chicago, especially on the South Side. The idea of opportunity zones is for people to come in and continue to renovate the buildings that haven’t been touched yet, which there is a heavy supply of on the South Side. Bisnow: What do new investors need to know about buying in opportunity zones? Sklar: I think the key things to know are your geographical presence and how to manage a property. You need to know the difference between the 6800 block of South Clyde and the 7300 block of South Clyde and what you’re getting into as it relates to each location. You also need to have a good handle on what exactly you’re doing for management. What is your tenant screening process, do you accept Section 8 vouchers, what is your relationship with subsidy programs, are you properly underwriting collection loss? All these things may seem like Investing 101 but within an opportunity zone demographic, this management knowledge and realism will be important to seeing the returns you expect. Birk: The fear on the South Side is that some of these less experienced opportunity zone investors are solely looking at these buildings as tax shelters for their capital gains. However, unlike some other investment types, apartment buildings in opportunity zones are living, breathing investments with living, breathing people in them. Establishing quality management from day one is going to be critical, not only for protecting your investment but also for promoting further growth in these communities. Bisnow: What is the most challenging aspect of investing and developing in these opportunity zones? Birk: Every neighborhood has its own challenges, but on the South Side specifically it is very management-intensive, so that’s far and away the most difficult thing. Sklar: It is more than just placing capital somewhere. You need to tend to your building and tenants, and you need to nurture them. Surround yourself with the best people who are going to take care of your investment, and have a team of trusted professionals (brokers, lenders, attorneys) you can call upon. Bisnow: How do you see your business evolving as these programs become more popular and more people start taking advantage of opportunity zones? Birk: Opportunity zone investing is different from regular multifamily investing, so we find ourselves being teachers and telling people about issues they may not be aware of or challenges they may not have faced in other markets. The biggest difference for us is helping people understand the areas they are investing in and what they need to do to be successful. Sklar: We have already seen a large increase in the number of people interested in opportunity zones. As the program flourishes, our customers are going to increase. If you look at a map, 95% of Chicago’s opportunity zones are on the South Side. Over the coming months, we’re going to have a lot of outside investors coming here to learn more about the area. With the higher returns than Chicago’s other neighborhoods, and now the additional tax benefits of opportunity zones, investing in Chicago’s South Side is a no-brainer.